The human body is a 3-dimensional system, yet most cell culture research uses 2-dimensional monolayers. 2D cultures do not accurately reflect cell attachment, cytoskeletal structure, or the in vivo behavior of cells. 3D cultures are more physiologically relevant, providing a better representation of disease state and drug response. Tumor Biology:1-5 Tumorigenesis, spheroid morphology, self-organization, cytoskeletal structure, signalling, cancer progression, and more. Tumor Heterogeneity:4,6 Gradients of oxygen and nutrient availability throughout the tumor, roles of outer vs inner cells of the tumor. Microenvironment:7-9 3D cell-cell and cell-ECM interactions, roles of stromal cells and cancer-associated fibroblasts, co-cultures. Metastasis:7,10 Epithelial-mesencyhmal transition, migration, and ultimate survival of cancer in secondary sites. Drug Discovery & Toxicity:10-15 Model solid tumor response to drug treatment, predict drug response, drug kinetics, cytotoxicity, and diffusion. Immune Interaction:16 Model cytotoxic effects of T cells or NK cells using a 3D tumor model. AggreWell™ helps ensure uniformity of spheroids and consistency from experiment to experiment. AggreWell™ plates with microwells provide an easy way to generate large numbers of multicellular spheroids. Unlike traditional spheroid-formation methods, spheroids generated in AggreWell™ are highly uniform in size and shape, and the size can be easily controlled by modifying the input cell seeding density. With added size-control and uniformity, AggreWell improves reproducibility of your 3D research. EASY PROTOCOL. Generate large numbers of spheroids from a single pipetting step compared to at least 8 pipetting steps with a 96-or 384-well ULA or hanging drop plate. Fewer processing steps means fewer opportunities for error. UNIFORMITY. Spheroids generated in AggreWell™ are highly uniform in size and shape, meaning that your starting population is consistent within and between experiments. Get true technical replicates, without compounding population or processing effects. REPRODUCIBILITY. Large numbers of spheroids facilitate larger, more comprehensive studies with statistically significant sample sizes. A statistically significant sample size increases the scientific accuracy and producibility of your experimental results. AggreWell™ helps you ensure the clonality of your sphere-forming assay. In the sphere-forming assay, spheres are generated from a single cell, often referred to as a Tumor-Initiating Cell (TIC) or a Cancer Stem-like Cell (CSC), which is capable of self-renewal and proliferation. The sphere-forming assay is a common method used to determine the frequency of the TICs in a given cancer cell population. However, achieving clonality requires limiting dilution, which can be difficult and laborious. By using AggreWell™ with microwells, clonal spheres are easy to achieve without the need for limiting dilution. CLONALITY. 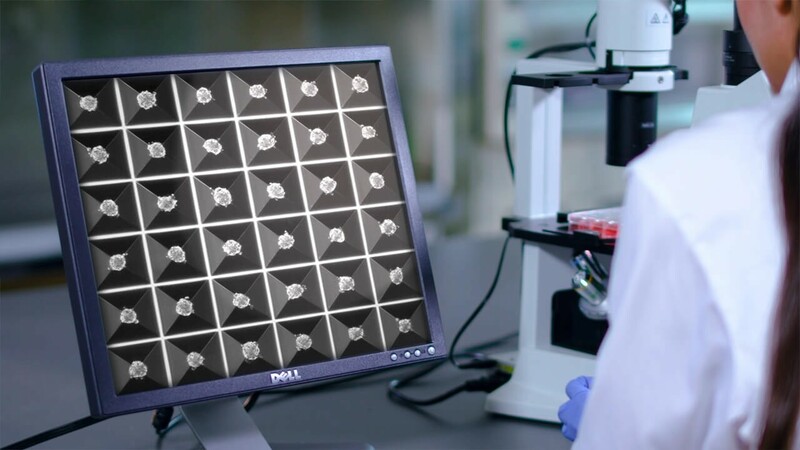 With 1,200 microwells in each well (AggreWell™400 24-well), there are 1,200 opportunities for each cell to settle into a microwell and be physically sequestered away from other cells, preventing migration and aggregation. EASY PROTOCOL. 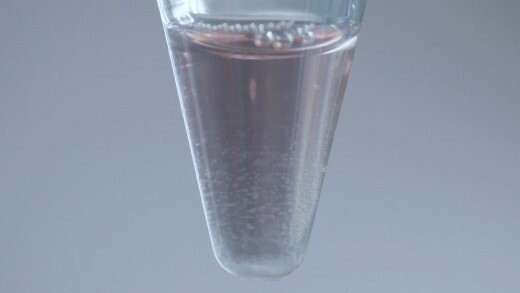 Get clonal results by seeding at limiting dilution densities in a single pipetting step. ACCURACY. At limiting dilution cell density and the ability to visually confirm single cells in microwells, the accuracy of your clonal sphere-forming assay can be verified. AggreWell™ plates are available in two microwell sizes: 400 µm (AggreWell™400) or 800 µm (AggreWell™800) to suit your research needs. Razian G et al. 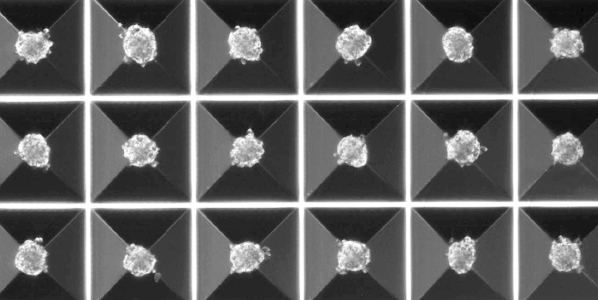 (2013) Production of Large Numbers of Size-controlled Tumor Spheroids Using Microwell Plates. J Vis Exp 8:50665 DOI: 10.3791/50665. Edmondson R et al. (2014) Three-Dimensional Cell Culture Systems and Their Applications in Drug Discovery and Cell-Based Biosensors. Assay Drug Dev Technol 12(4): 207-18. Wrzesinski K et al. (2014) The cultural divide: exponential growth in classical 2D and metabolic equilibrium in 3D environments. PLoS ONe 9(9); e1069. Hirschhaeuser F et al. (2010) Multicellular tumor spheroids: an underestimated tool is catching up again. Biotechnol 148(1): 3-1. Gaskell H et al. (2016) Characterization of a functional C3A liver spheroid model. Toxicol Res (Camb) 5(4): 1053-65. Wenzel C et al. (2014) D high-content screening for the identification of compounds that target cells in dormant tumor spheroid regions. Exp Cell Res 323(1): 131-43. Song Y et al. (2016) Retaining cell-cell contact enables preparation and culture of spheroids composed of pure primary cancer cells from colorectal cancer. PNAS 108(15): 6235-40. Kondo J et al. (2011) Activated hepatic stellate cells play pivotal roles in hepatocellular carcinoma cell chemoresistance and migration in multicellular tumor spheroids. Sci Rep 6: 63750. Metzger W et al. (2014) Evaluation of cell-surface interaction using a 3D spheroid cell culture model on artificial extracellular matrices. Mater Sci Eng C Biol Appl 1(73): 310-18. Vinci M et al. (2012) Advances in establishment & analysis of three-dimensional tumor spheroid-based functional assays for target validation & drug evaluation. BMC Biol 10:29 DOI: 10.1186/1741-7007-10-29. Pauli C et al. (2017) Personalized In Vitro and In Vivo Cancer Models to Guide Precision Medicine. Cancer Dis Epub doi: 10.1158/2159-8290. Fey S et al. (2012) Determination of Drug Toxicity Using 3D Spheroids Constructed From an Immortal Human Hepatocyte Cell Line. Toxicol Sci 127(2): 403-11. Sarisozen C et al. (2014) The effect of co-delivery of paclitaxel and curcumin by transferrin-targeted PEG-PE-based mixed micelles on resistant ovarian cancer in 3-D spheroids and in vivo tumors. Eur J Pharm Biopharm 88(2): 539-50. Barrera-Rodríguez R et al. 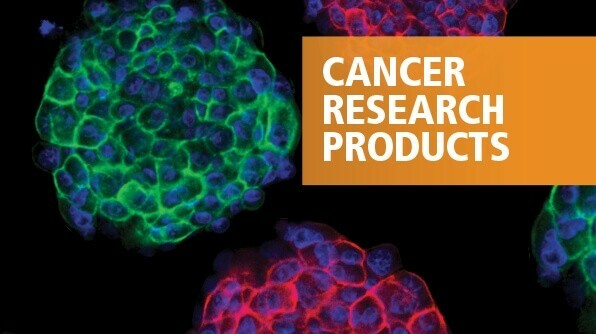 (2012) Multidrug resistance characterization in multicellular tumour spheroids from two human lung cancer cell lines. Cancer Cell Int 10: 47. Sirenko O et al. (2016) Phenotypic Characterization of Toxic Compound Effects on Liver Spheroids Derived from iPSC Using Confocal Imaging and Three-Dimensional Image Analysis. Assay Drug Dev Technol 14(7): 381-94. Giannattasio A et al. (2015) Cytotoxicity and infiltration of human NK cells in in vivo-like tumor spheroids. BMC Cancer 15:351 DOI:10.1186/s12885-015-1321-y.